Papergreat: In which Hilda calls Ada's inaction "very shameful indeed"
In which Hilda calls Ada's inaction "very shameful indeed"
These days, if you're upset with someone or just feeling a bit cranky, you'll probably make your thoughts known via email, text message, Twitter or maybe an uncomfortably passive-aggressive Facebook post. But, a century ago, folks didn't have all those convenient and indirect ways of making their displeasure known. What they did have were postcards. And they only cost a penny to send (about the equivalent of a quarter today). 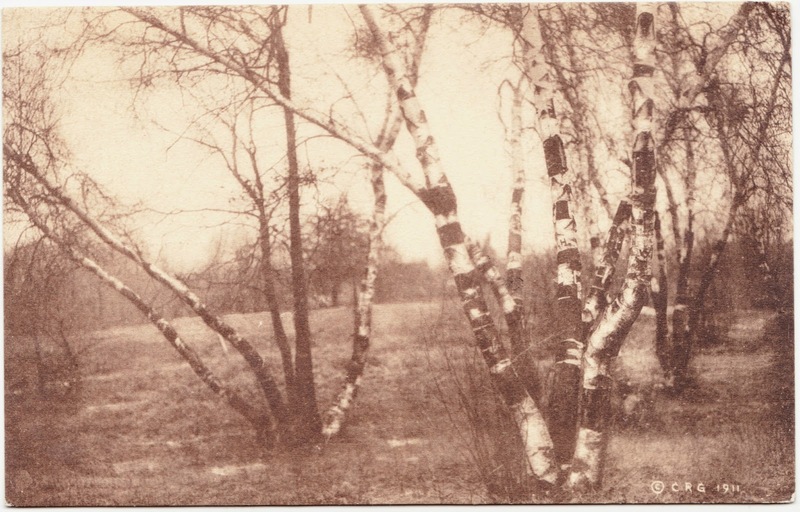 Today's sepia-toned postcard of blurry trees — with its © C.R.G. 1911 credit on the front — was mailed in 1912 and addressed to Miss Ada Mann in Millersville, Pennsylvania. Dear Ada - I think the way you treated Stroudsburg this summer was very shameful indeed. We missed you. How are you and little Ruth? Stroudsburg has been very pretty this summer and I have had my usual good time. So, yes, it appears that Hilda is throwing some shade Ada's way for not making the approximately 110-mile trip from Millersville to Stroudsburg in the summer of 1912. Maybe Ada was too obsessed with that year's four-way U.S. presidential race, between Democrat Woodrow Wilson, Republican William Howard Taft, Progressive Theodore Roosevelt and Socialist Eugene Debs, to be bothered with a trip to Stroudsburg. Imagine if there had been Twitter back then!